The Grand Theft Auto franchise is no stranger to mods, but the Vehicle Cannon Mod probably takes the cake as the craziest-looking mod out there for GTA V. Just as its name suggests, it lets players shoot out cars instead of bullets out of (presumably) any gun in the game, including a minigun. Let the mayhem ensue. In order to activate the mod, players will simply have to press F11 in-game. Shooting normally from that point onwards will result in a fleet of cars speeding “out of the gun” at whichever direction the player is pointing at. We’d say this is quite a creative way to find out how well your system can run GTA V, seeing how it will definitely tax the CPU and GPU. 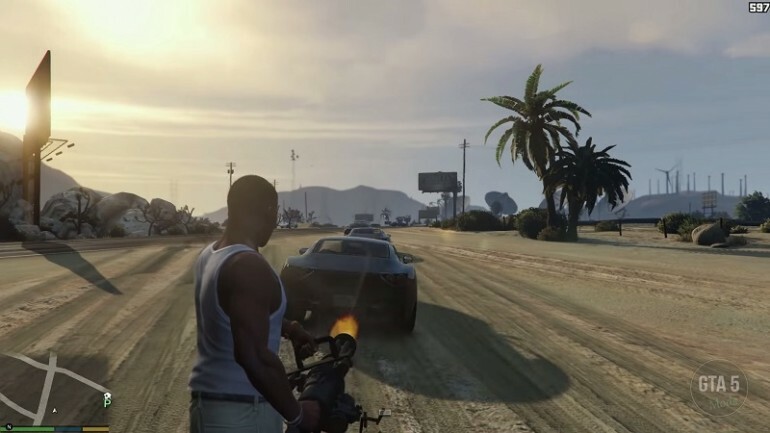 Of course, this mod will only work with the PC version of GTA V. Until someone figures out how to implement it on the console versions of the game, console gamers will not be able to enjoy the oddly satisfying feeling of shooting cars out of guns. If you’d like to try out the Vehicle Cannon Mod for yourself, you can download it for free here. If you haven’t gotten yourself a copy of the game, you can purchase it from Steam for RM149.90.